How many Z-Crystals are there in the Alola region? There are a total of 29 Z-Crystals that have been introduced by the Alola region. These include 18 type-specific crystals and 11 Pokemon-specific ones. 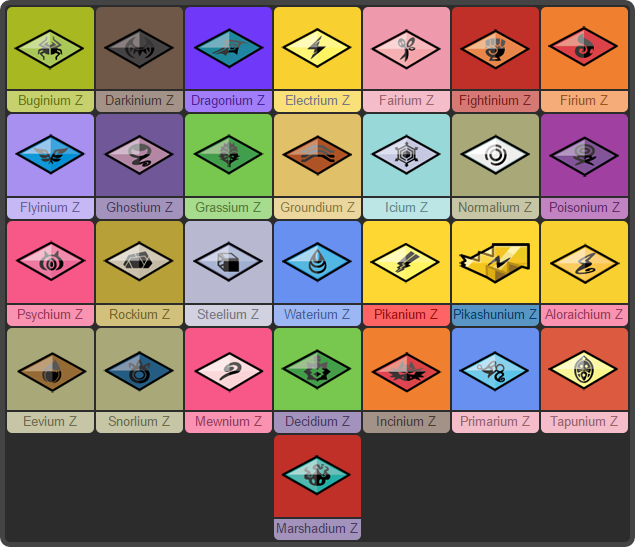 In total, there are 29 Z-Crystals, one for each type and 11 crystals for individual Pokemon species. It is possible to recieve more than one kind of Z-Crystal, though they cannot be traded.